Wild Planet's Spy Goggles let kids who have a lot of imagination and love adventure transform themselves into a secret spy with night vision. 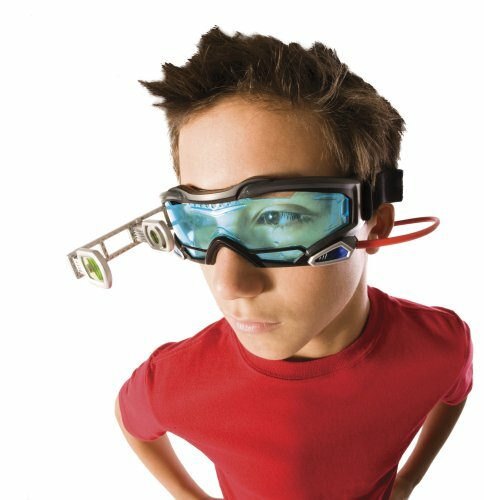 These spy glasses allow kids to transform themselves into spies and see in the dark. Made for the adventurous child. Made of durable plastic with two blue LED lights on either side, they are comfortable to wear and easy to see through the dark with. With two bright, blue LED lights to see in the dark, kids can use their imaginations and turn themselves into a spy with Wild Planet’s spy glasses. Once the child puts their spy goggles on, they can turn on the blue LED lights so that they can see in the dark. Things look a little different when a child wears the glasses, so they can feel like they are actually a spy. Once they put the glasses on and turn on the lights, they will be transformed into a spy and their imagination can carry them from there. 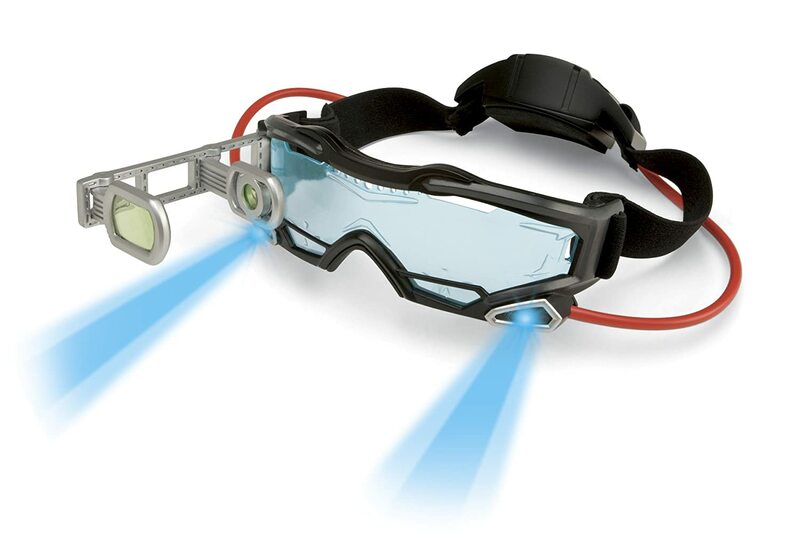 These Spy Night Goggles are made for adventurous young kids who love to use their imagination. Made with durable plastic, the glasses work well in the dark and allow kids to see very well because of the two blue LED lights on either side. Users have said that the batteries last a long time, sometimes even over a year, so even though the batteries are not included, you won’t need to keep purchasing them over and over. There have been some reports of parts falling off, but if something does fall off, it’s easily replaceable and can be snapped back on. Most of the negative reviews on this toy repeatedly said that the glasses are not actually night vision, and they’re not. They are just regular glasses with two LED lights on either side to light the way. However, reviewers did say that when you put them on, they do make things look different and cool. Even though it’s not real night vision, this is a nice kid-friendly alternative because children are imaginative and can pretend they’re a spy anyway, and it feels real to them. Other complaints about the goggles are that they get loose a lot, the lights are really bright, and the battery pack is really heavy. Depending on how the small the child is, you will need to adjust the goggles accordingly. To prevent it from sliding off, a user recommended that the child wear a baseball cap and then put them on, as this makes it more stable and less likely to fall off during play. It’s better to use this toy in the dark. The bright lights are meant for seeing in the dark. The goggles are plastic. Three AAA batteries are needed to turn the lights on and they are not included. The one concern users had that was brought up several times was the brightness of the two LED lights. Looking straight at the child with the goggles on can hurt your eyes, so don’t look into the light! Wild Planet Spy Gear Night Goggles let you know what’s ahead of you in the darkest spots. The twin LED beams of light let you see up to 25' in the dark. These googles are impact resistant, lightweight and comfortable. Look ultra-cool and stealth for secret missions.